Right when you walk into this hotel’s lobby and reception area, you can see that style is important here. The life-sized horse statue with a lamp on its head, the bright pink undulating walls, the ceiling covered in white tubes… you don’t see too many hotels like this. 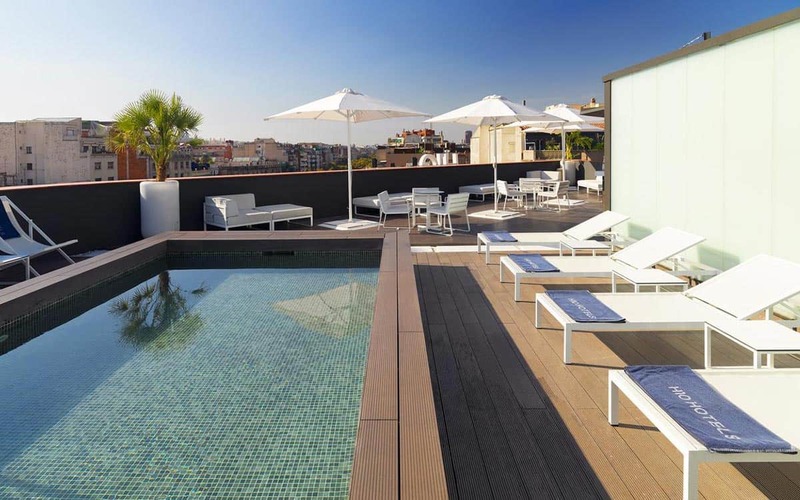 The cosmopolitan Barceló Raval hotel is in the heart of the Raval district, and just a five-minute walk from Las Ramblas. You’re right in the center of the city here. 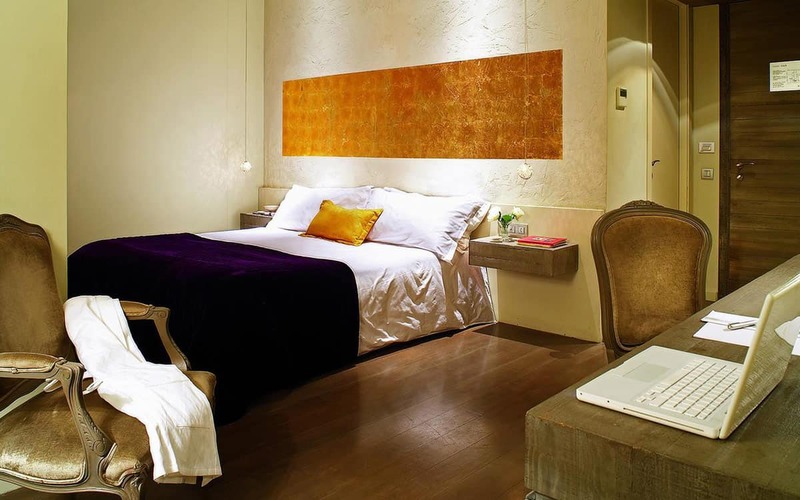 It has 4 suites and 182 rooms, and all of them have free wifi, along with nice bonuses like iPhone docking stations and Nespresso coffee makers. They also have meeting rooms that can fit up to 100 people for events for companies and business. Every Sunday, the hotel has a funky brunch with DJs spinning cool tunes. 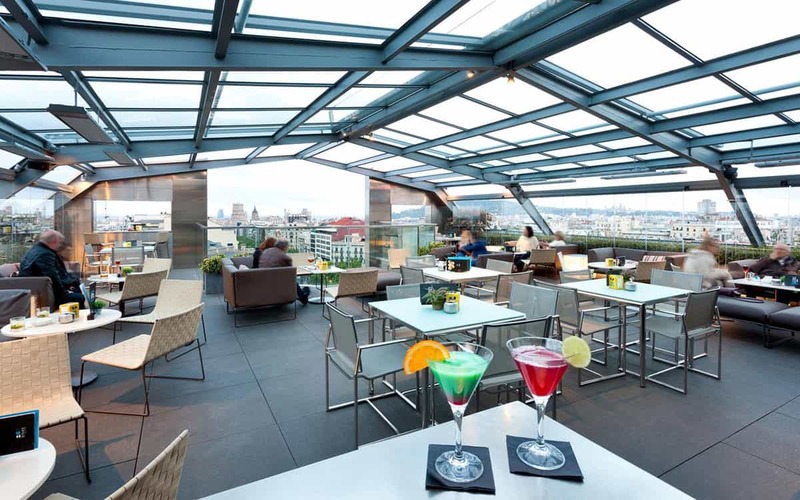 To top it all off, quite literally, there’s a spectacular rooftop bar with a swimming pool and 360 degree views of the entire city. 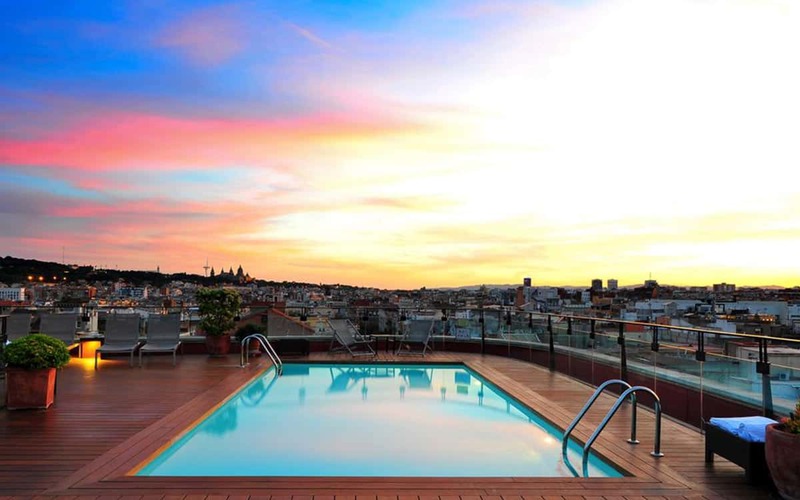 Sip on a cocktail and take in the sunset for an unforgettable start to a Barcelona night. 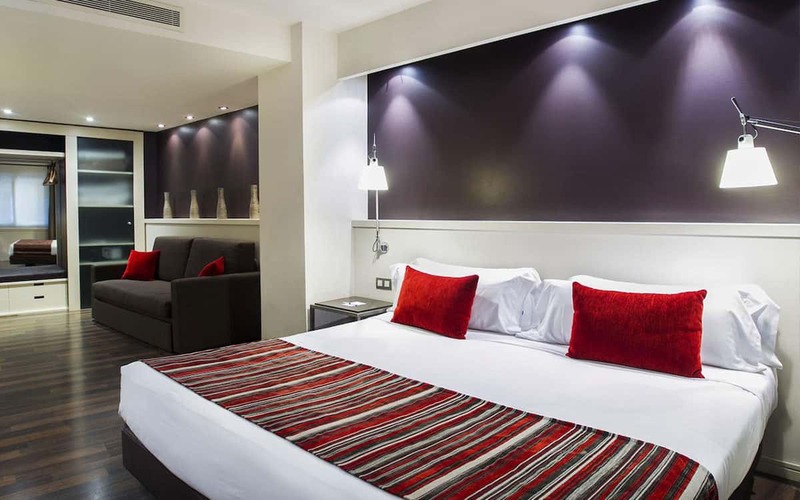 Before you book though check all our recommended beds right here.